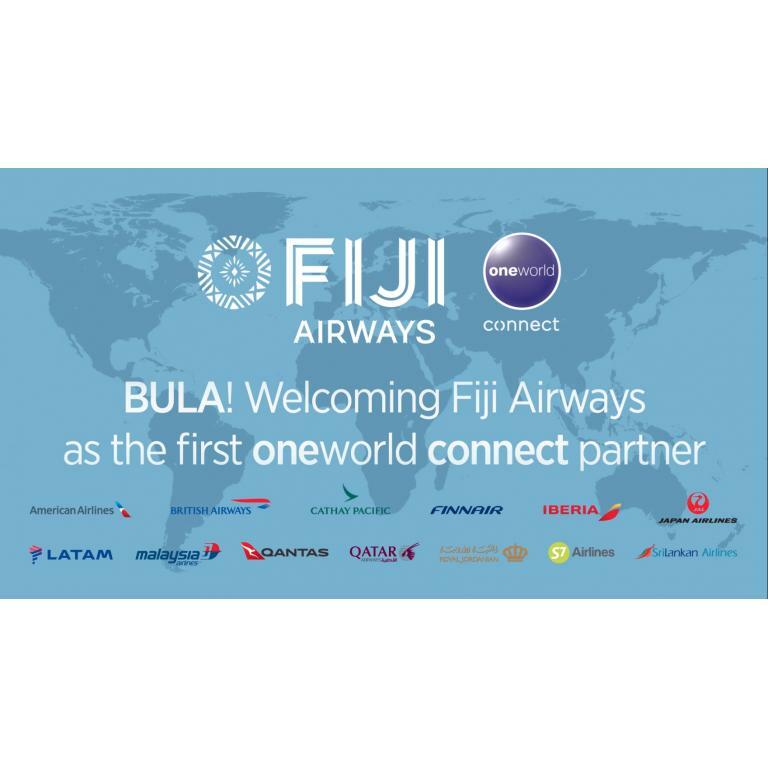 Fiji Airways started flying as a oneworld connect partner earlier this week, as the first airline globally to link up to the world’s premier alliance via this new membership platform. The first Fiji Airways aircraft to feature the oneworld connect logo is its initial Boeing 737 MAX 8, which has just touched down at its Nadi hub after its delivery flight from the manufacturer’s Seattle base. Four more of these state-of-the-art twinjets will follow in the year ahead as a replacement for older 737s flying on the airline’s short and medium-haul network to destinations including Australia, New Zealand, Hawaii and neighbouring Pacific Islands. Fiji Airways is the first airline in the region to operate this modern aircraft type. From Wednesday, customers with Emerald, Sapphire or Ruby status in any oneworld® member airline’s frequent flyer programme can use priority check-in desks, where available, when flying in any cabin class on Fiji Airways, while customers with Emerald or Sapphire status in any oneworld® member airline’s frequent flyer programme will also be offered priority boarding when flying on Fiji Airways. 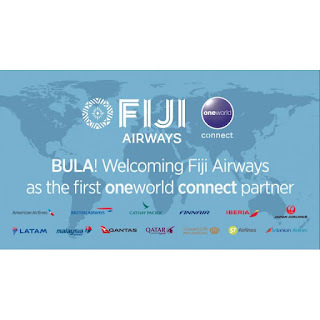 Fiji Airways CEO Andre Viljoen stated: “Fiji Airways is thrilled and honoured to be the first oneworld connect partner globally. We are delighted to link Fiji and the South Pacific to the world’s premier airline alliance and further deepen our relationships in particular with Qantas, American Airlines, British Airways and Cathay Pacific. This important step for our airline enables us to offer more services and benefits to our own customers along with the others in the oneworld family, to achieve a greater presence for our airline internationally and to build on the in-bound tourism that is so vital to our home nation and our region.” .